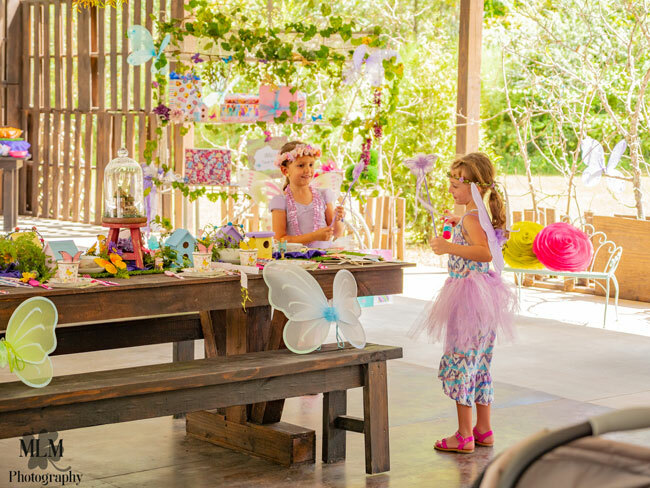 What little girl wouldn’t absolutely love having a Fairy Birthday Party for their big day?! This woodland, rustic theme is gorgeous and the perfect way to celebrate! 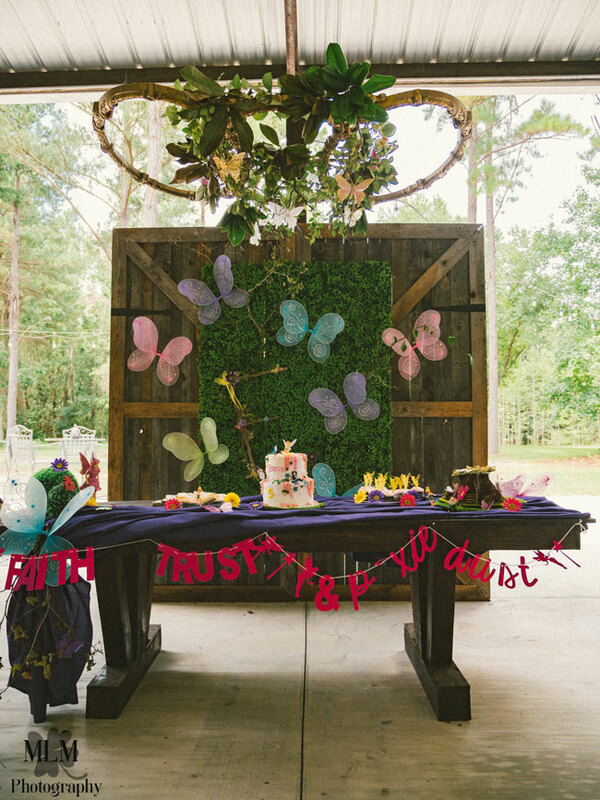 This Fairy Birthday Party was hosted at a new event and wedding venue that was the absolute perfect, whimsical location for this party! What a lucky little 5-year-old, who even got to help with many of the DIY decorations and placements! 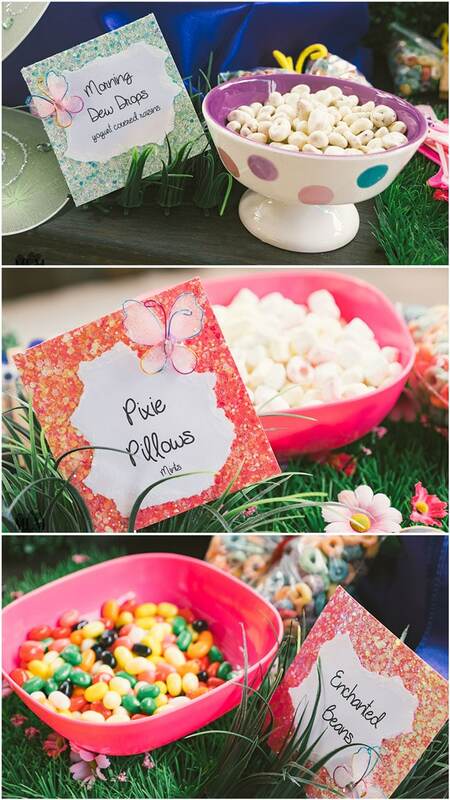 It was the perfect fairy tale and perfect inspiration if you’re looking for fairy party ideas! 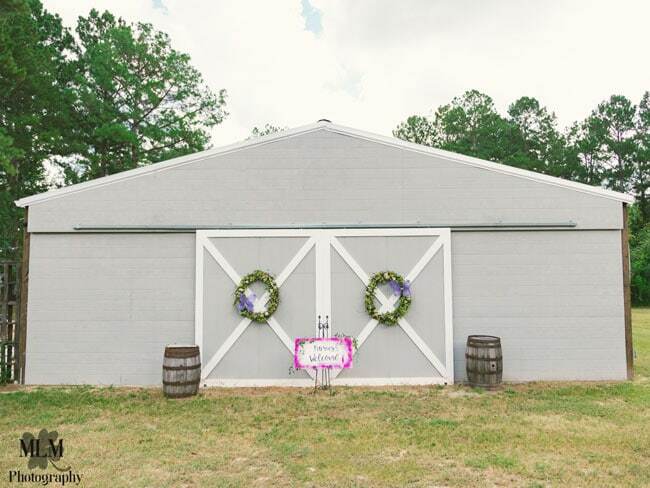 Chande Pines Plantation went all out and this owner is the queen of DIY decorations! 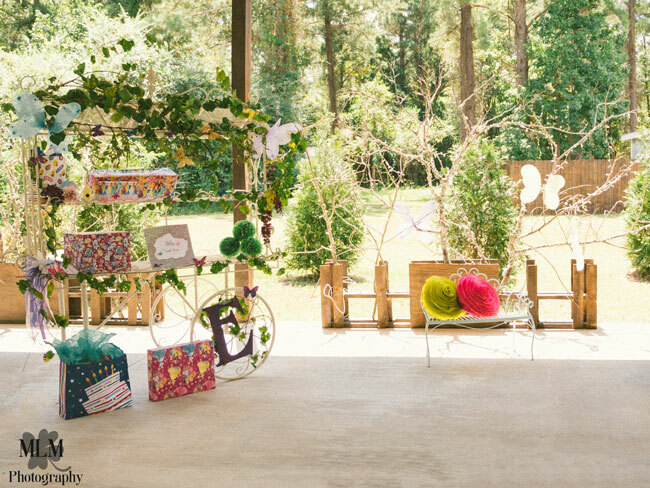 What a lovely set-up for this little girl’s Fairy Birthday. 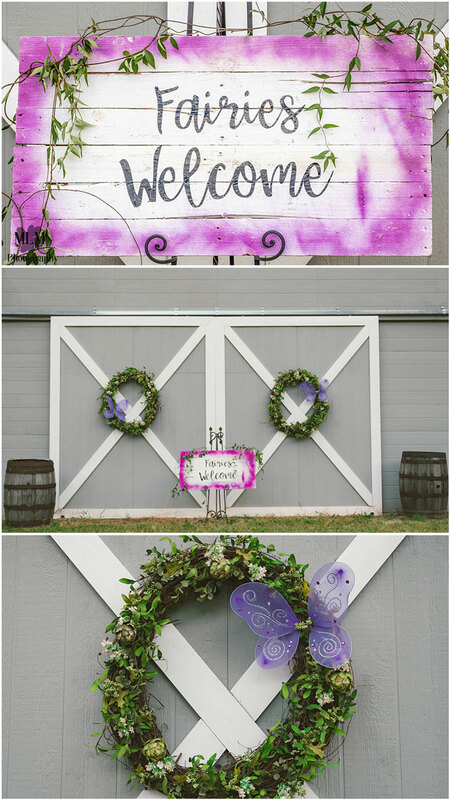 Because of the barn venue, it was perfect to add many rustic and outdoor decorations to the Fairy Themed Birthday Party. 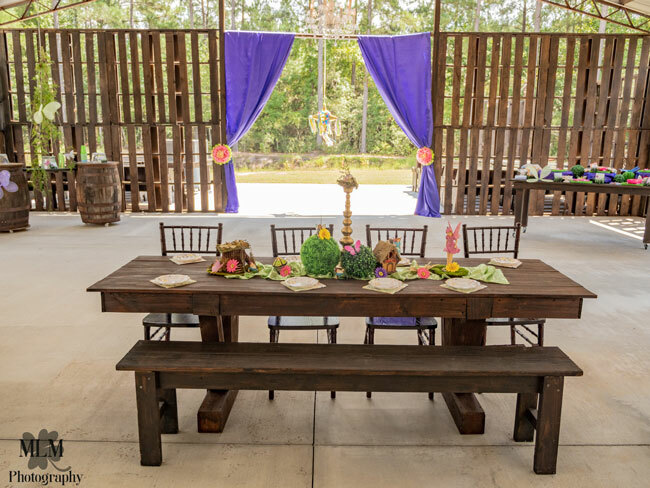 We just love the backdrop, that was rustic barn boards to add to the magical day. It also makes the pastel butterflies show up like magic! Many of the decorations and signage around the Fairy Garden Party were created by Two Chicks and a Trunk. 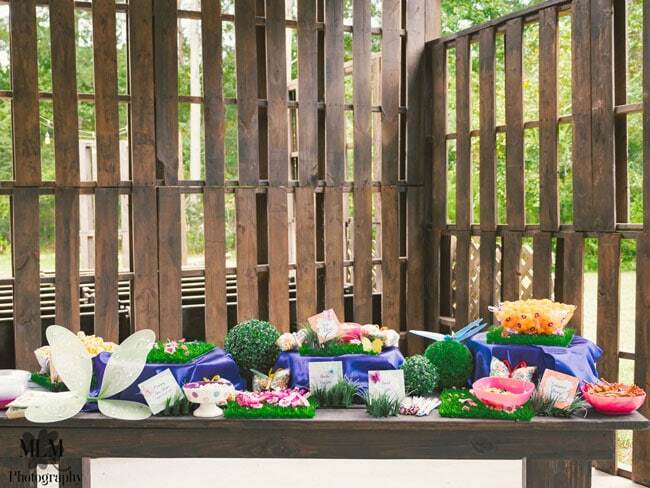 Just look at all of the beautiful arrangements they created for the tables, as well as florals and set-ups that were located around the barn venue. Everything is stunning! 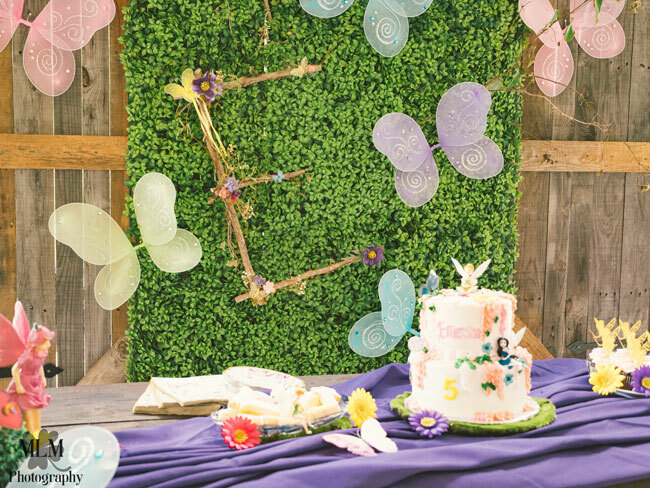 Look at all of these gorgeous Fairy Party Decorations that are outside of the barn venue! 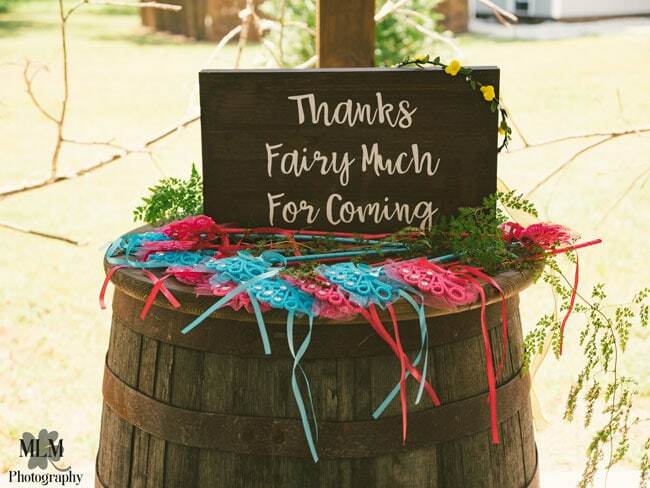 We are in love with the exquisite wreaths and signs that welcome all of the guests to the fairy party wonderland! It is breathtaking! 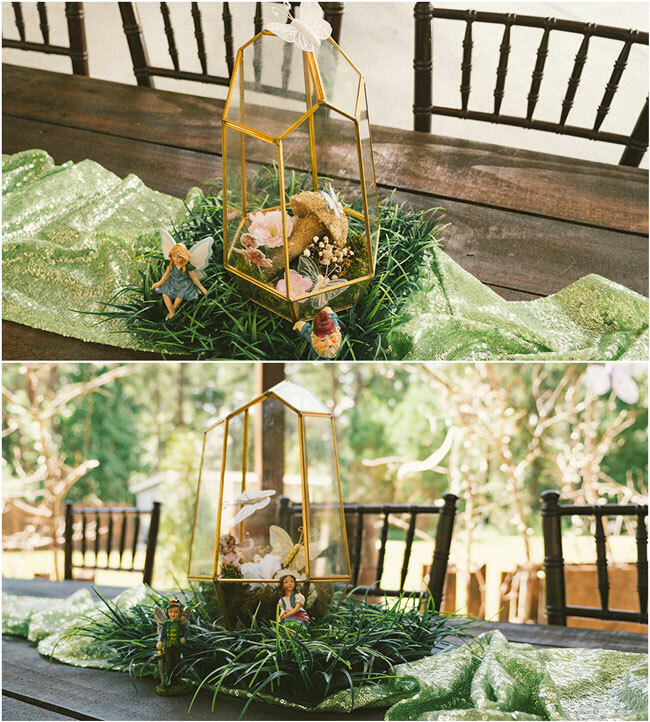 These fairy centerpieces are so fun, with greenery and butterflies sitting in perfect harmony. It feels like a true fairy paradise, where nothing could ever go wrong! The main table for all of the fairy party guests is incredible! What a fun decor setup that is truly fit for a party full of princesses! Everyone received their own set of fairy wings, which were waiting for them at the table. 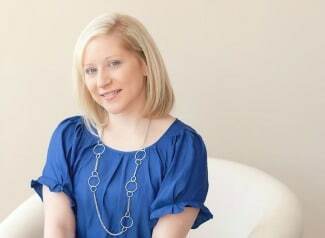 We can just picture all of the squealing and glee that came with that announcement! How fun! 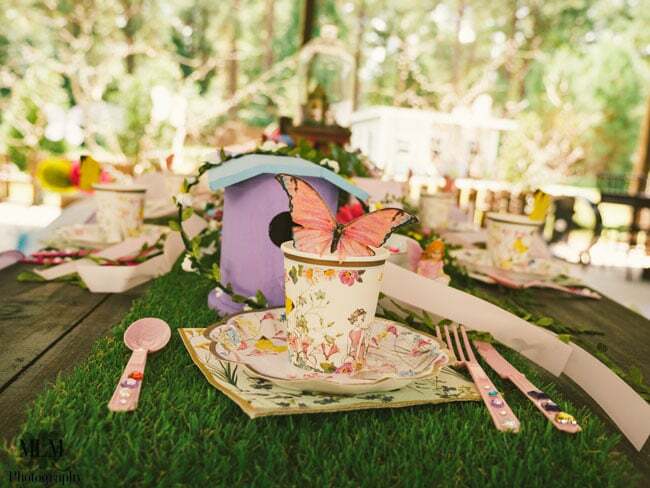 Decor at the princess fairy table has been set-up to resemble a Fairy Tea Party, fit for any birthday fairy! 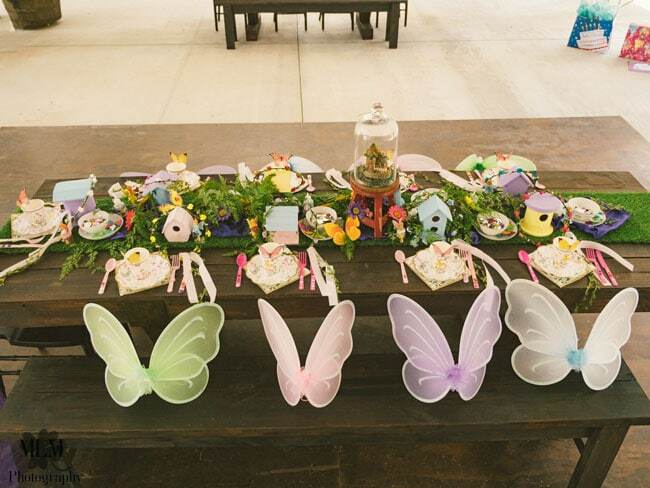 What lovely place settings and we adore the grass placemats that fit in perfectly with the Fairy Themed Birthday Party. What a wonderful idea! Cute little birdhouses that were created and painted just for this event were found in the center of the table. Who knows, maybe some cute little fairies were even flying in and out of them throughout the party to watch the little girls! Of course, the drink station was just as cute as everything else! 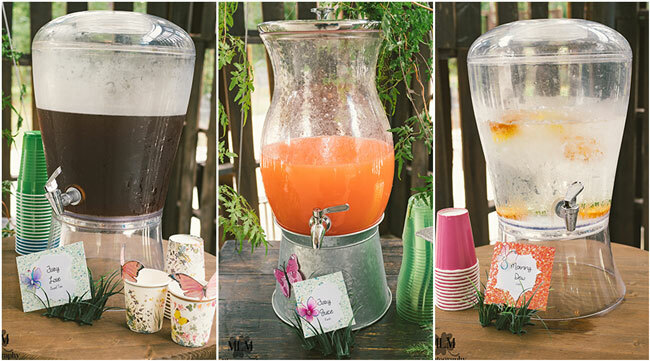 With personalized creations, drinks were available for every little girl at the Fairy Princess Party. 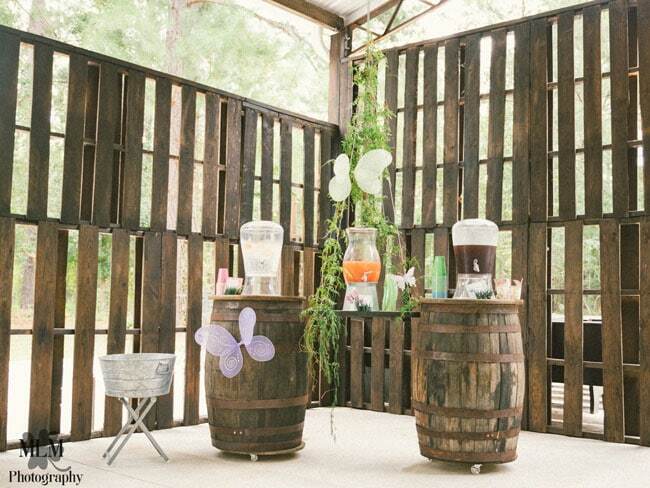 Located on rustic barrels, with a wooden board to serve as the table, different drink dispensers were lined up with fun creations ready to quench everyone’s thirst! 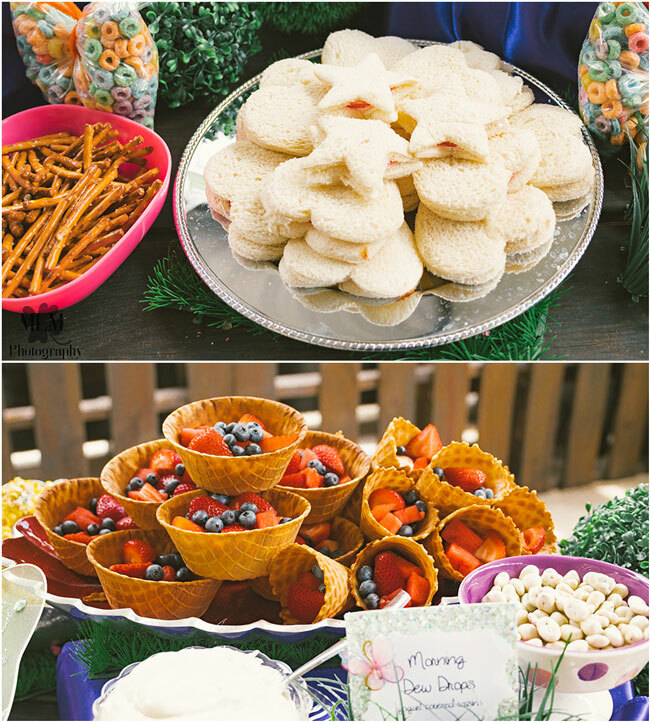 The mother of the birthday girl created the most amazing food spread for all of the party guests! 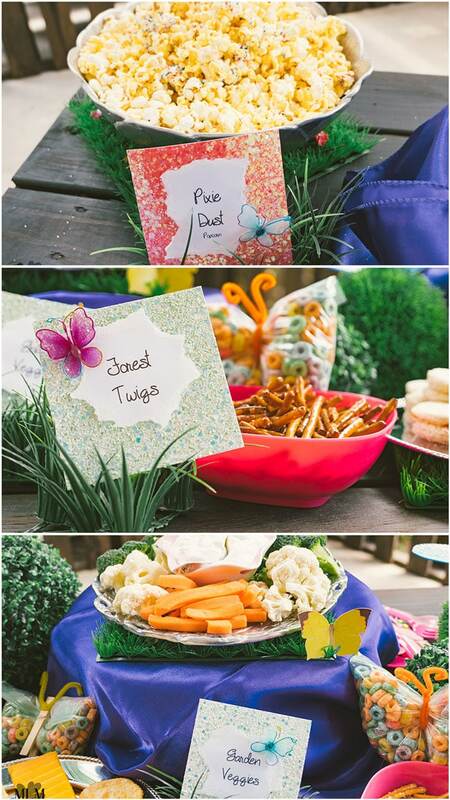 Just look at all of the wonderful details, overlaid on grass to tie into the Fairy Themed Birthday Party. What an amazing DIY creation that everyone couldn’t wait to dig into! We especially love all of the personalized and creative ideas that the different food options had labeled on the food tents! 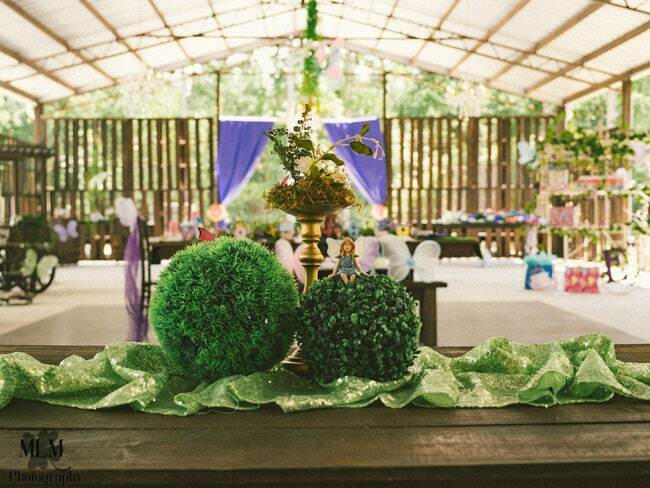 From “Garden Veggies” to “Forest Twigs” (and don’t forget the “Pixie Dust”), everything was as creative and original as we would expect at such a lovely venue! We are dying over all of the festive and creative names! Tabletops for all of the guests was another great DIY creation. 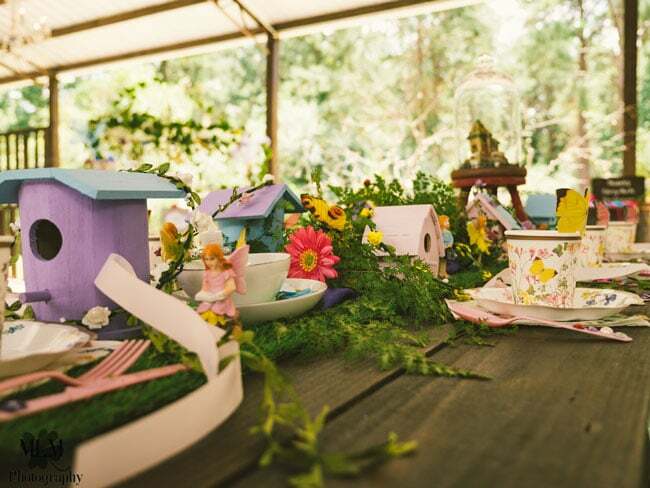 Fairy houses, lovely greenery, along with gorgeous florals and fairies adorned all of the tables for the sweet little Fairy Birthday Party guests. It was like eating lunch in a perfect dream! 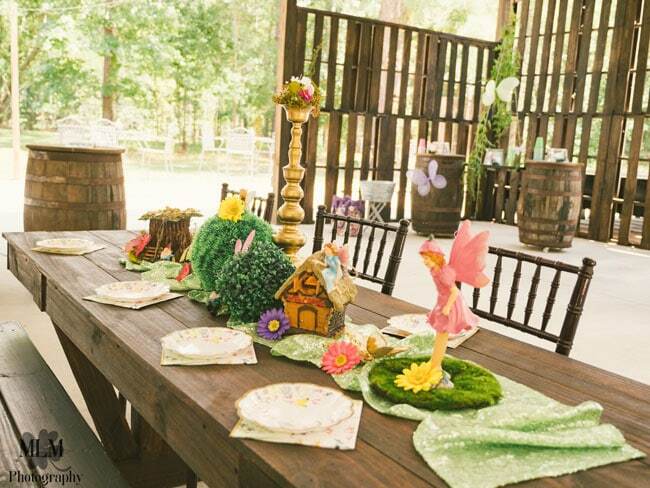 What a gorgeous dessert table, fit for a very special Fairy Garden Party! We can see the fun fairy cake topper all the way from here and we just love the set-up! 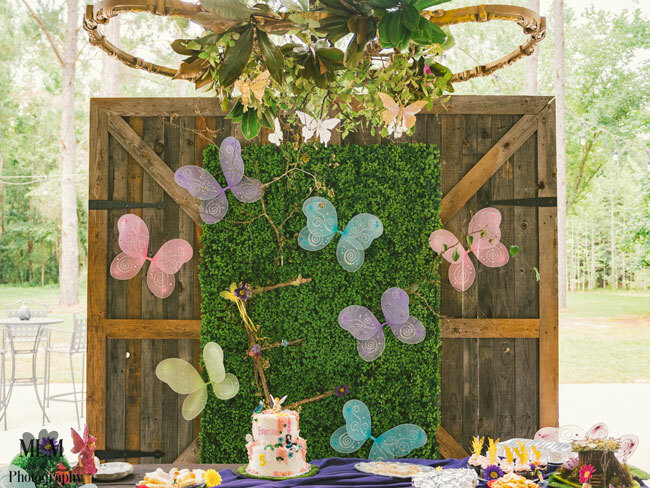 The greenery backdrop stands out beautifully with the gorgeous butterflies attached, with fun rustic additions found around the table. 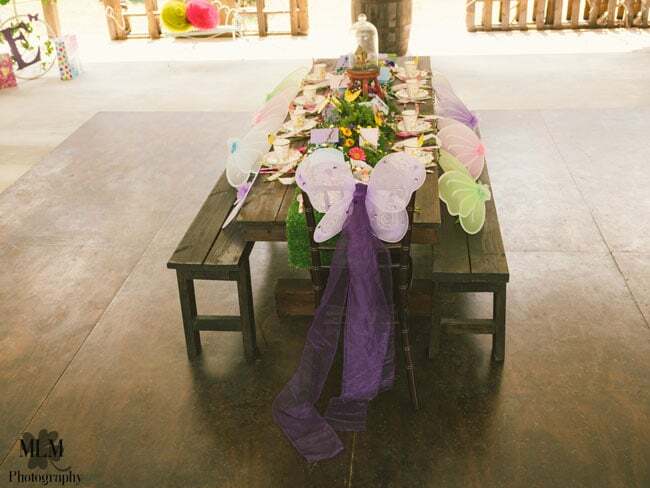 And how about that amazing butterfly wreath found above the table?! That is an impressive work of art! The initial of the birthday girl was also found by the dessert table and it makes this fairy birthday girl feel pretty special! This gorgeous fairy cake is created by Polly’s Giant Cakes, who did an absolutely amazing job! Just look at the details that surround the cake! With all of the icing creations, such as the fairy, flowers and butterflies, we are sure this little birthday girl couldn’t take her eyes off of such a wonderful cake, created just for her! Two Chicks and a Trunk also supplied the snow cone machine, which is always a gigantic hit with little ones! It can be hard to come up with a lot of activities for a little girl’s birthday party, so adding in a fun one like this makes everything so delightful! The great Fairy Birthday Party Supplies all came together perfectly to create an incredible scene when everyone walked in! 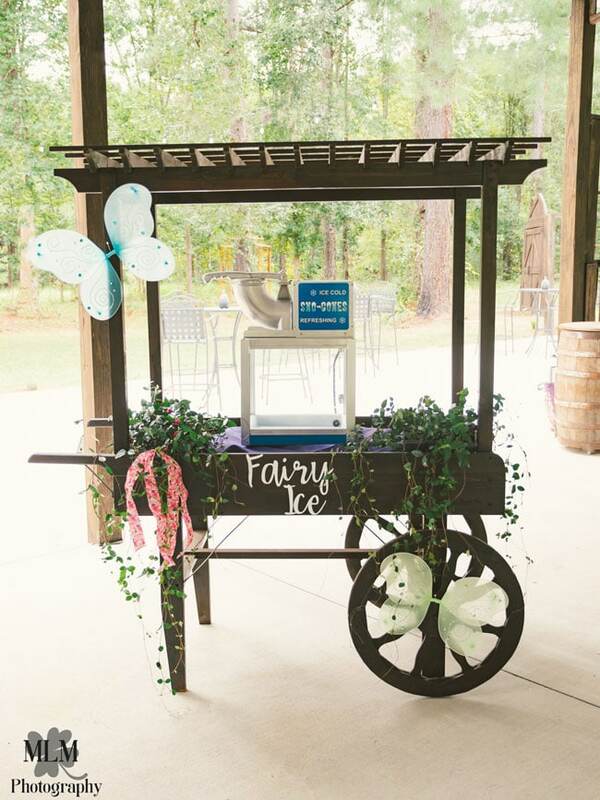 We just love this cart that was used for all of the different birthday gifts! 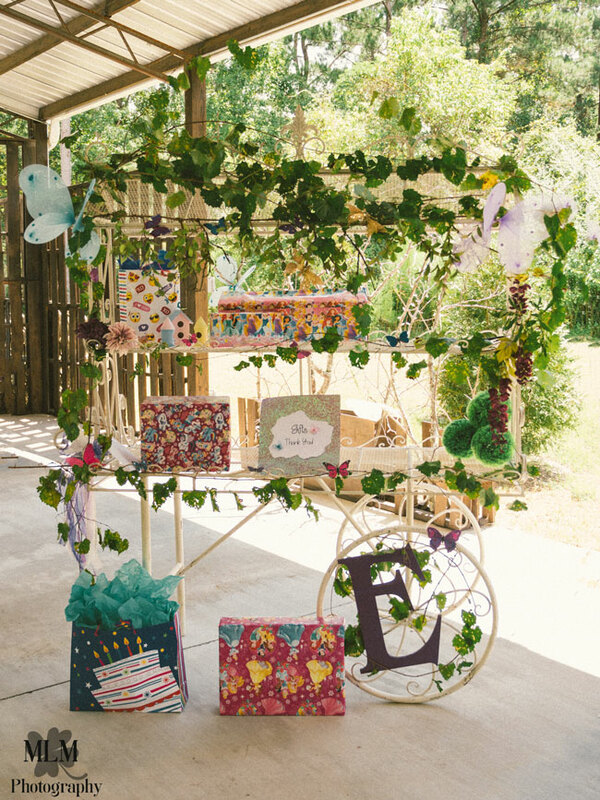 With the fun vines hanging around the cart, it truly looks magical and the perfect arrangement for a Fairy Birthday! Of course, nobody was going to go home empty handed! In addition to the fun fairy wings that all of the fairy birthday guest received, they also received Fairy Party Favors that included the beautiful wands for everyone to pick up! There is no doubt that there was some special magic found around this celebration! 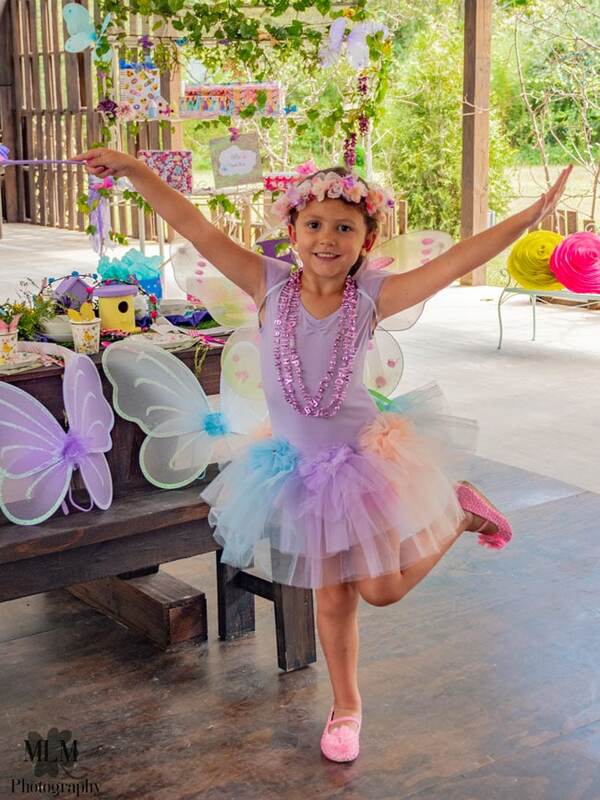 We think this beautiful little birthday girl received the most amazing Fairy Birthday Party ever! She looks like a sweet little princess who had all of her dreams answered. And who wouldn’t feel that way after such a whimsical, magical day! Who wouldn’t love to “fly” around all day with great fairy costumes and pretty fairy wings?! 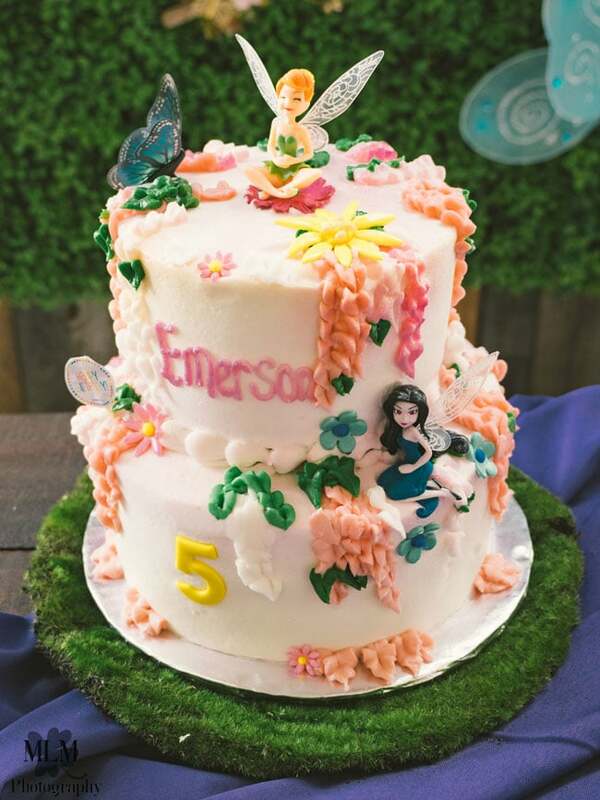 What’s your favorite detail in this Fairy Birthday Party? Let us know in the comments below!